This is your chance to get a touchscreen. Apple’s new MacBook Pro lineup may offer a nifty new Touch Bar, but the screens are just the same ol', same ol'. For Mac users who were hoping for a more compelling upgrade, Microsoft is making an interesting offer: Trade in your old MacBook and get $650 toward a new, true touch-enabled Surface device. It's a canny move by Microsoft that highlights one of the biggest distinctions between its Surface Pro 4 and Surface Book touchscreen devices, and Apple’s newly announced MacBooks, which relegate touch functions to a thin strip of glass at the top of the keyboard, eliminating the function keys in the process. This week, Microsoft announced the new Surface Studio AIO (which doesn’t qualify for the trade-in offer) as well as the new, upgraded Surface Book. 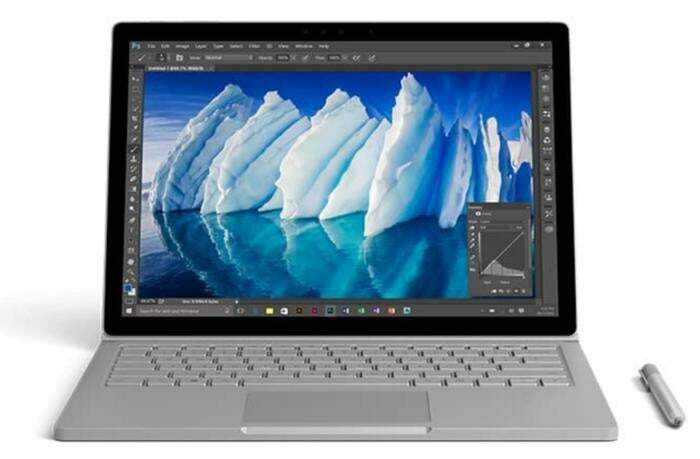 During Microsoft’s presentation, Panos Panay, the head of hardware engineering for Microsoft, claimed that the Surface Book held the highest satisfaction rating of any Windows device—or any MacBook, for that matter. This is just Microsoft throwing more shade Apple’s way. You better act fast, though. The offer is only good until November 10, which means that Microsoft’s turning up the pressure. Any qualifying MacBook Air or MacBook Pro device qualifies, though the trade-in value will vary based on the specs of the device as well as its condition. Though the trade-in page offers the deal just for a Surface Pro 4, others note that the offer is good for either a new SP4 or new Surface Book. Why this matters: A lot of the chatter at Microsoft's Surface event was about how Apple’s Macintosh lines simply haven’t kept up over the years. Today’s MacBook launch offers upgraded hardware—and, to be fair—the nifty, innovative Touch Bar. But it’s still not a true touch experience, and, “gorilla arms” or not, Apple increasingly looks like it’s on the wrong side of history on this one.